LANSING—As the sun goes down and the day ends, a luminous view is presented to the traveler who ventures out after dark. Michigan skies are home to one of the greatest star shows in the United States, and the new Pure Michigan commercial “Dark Sky” offers viewers a glimpse into these stunning celestial displays. The spot debuted April 5 and will continue to appear in cinemas and on national cable channels across the Midwest through mid-May. Dark Sky is reinforcing the state of Michigan as a premier travel destination, even after dark. Aimed at elevating awareness of Michigan as a destination for stargazing and viewing of celestial events such as the Northern Lights, the new commercial reaches both young adventurer travelers and families, inspiring them to seek yet another dimension of Michigan’s natural beauty—the night sky. As part of the Dark Sky campaign, Pure Michigan is partnering with The Weather Channel to promote coverage of live meteorological events, including the Aquarids Meteor Shower and the Full Strawberry Moon. 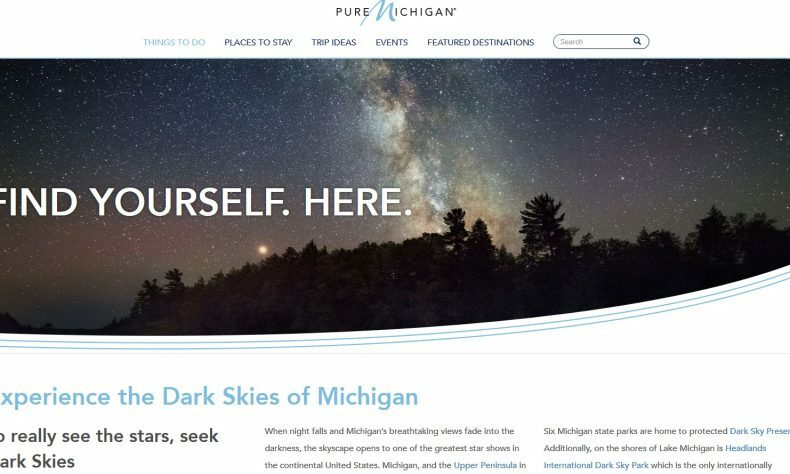 In addition, Pure Michigan is continuing its successful partnership with Outside Online to highlight Michigan’s night skies. Custom content promoting the campaign will also be delivered to users via Spotify overlay advertisements. 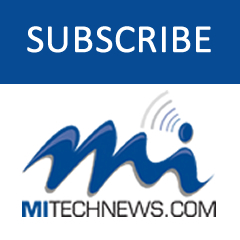 Residents and visitors travelling Michigan highways can soon expect to see digital billboards showcasing the Dark Sky messaging, offering brilliant views of Michigan’s skyscapes. As home to state-designated Dark Sky Preserves located within six state parks, Michigan offers ample opportunity for stargazing. Dark Sky Preserves are protected against outdoor lighting fixtures and limit the use of lights by park-goers, ensuring little to no interference for the viewing of celestial happenings for years to come. In addition, Headlands International Dark Sky Park in Mackinaw City is the only internationally designated preserve in the state and provides an exceptional environment for viewing night sky wonders.